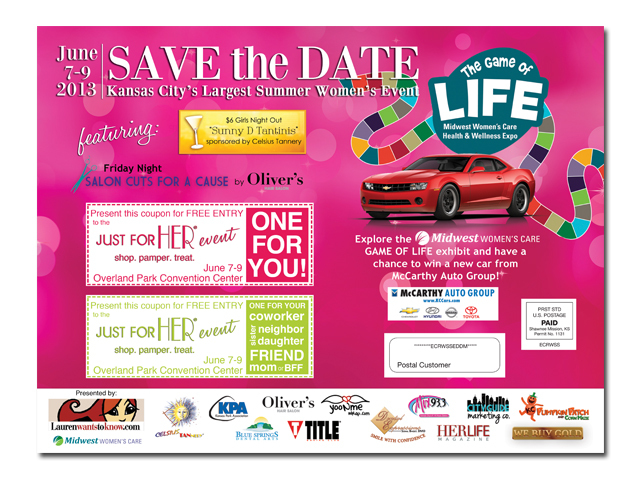 This large 9×12″ postcard was sent to 35,000 homes in Omaha to promote the Just For Her Event. It’s a favorite size of ours as it stands out in mailboxes and isn’t easily ignored! We used past designs to keep brand consistency amongst all Just For Her Event marketing materials.